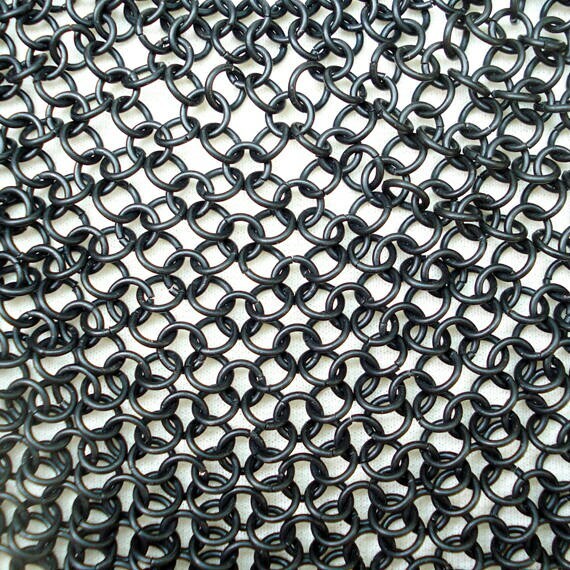 Being one of the original chainmaille weaves, this European 4 in 1 necklace has a very clean look to it. 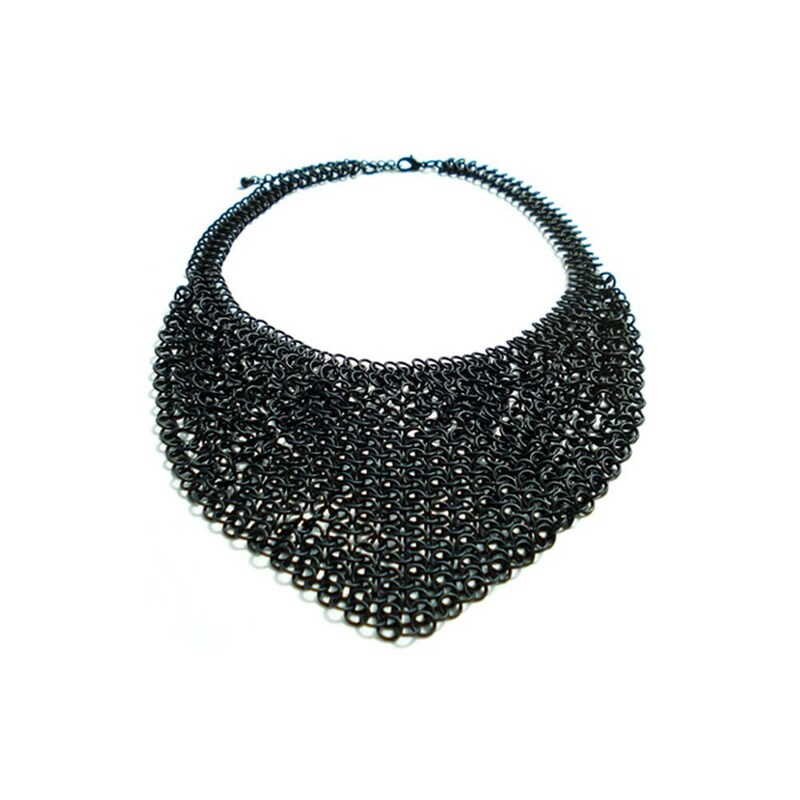 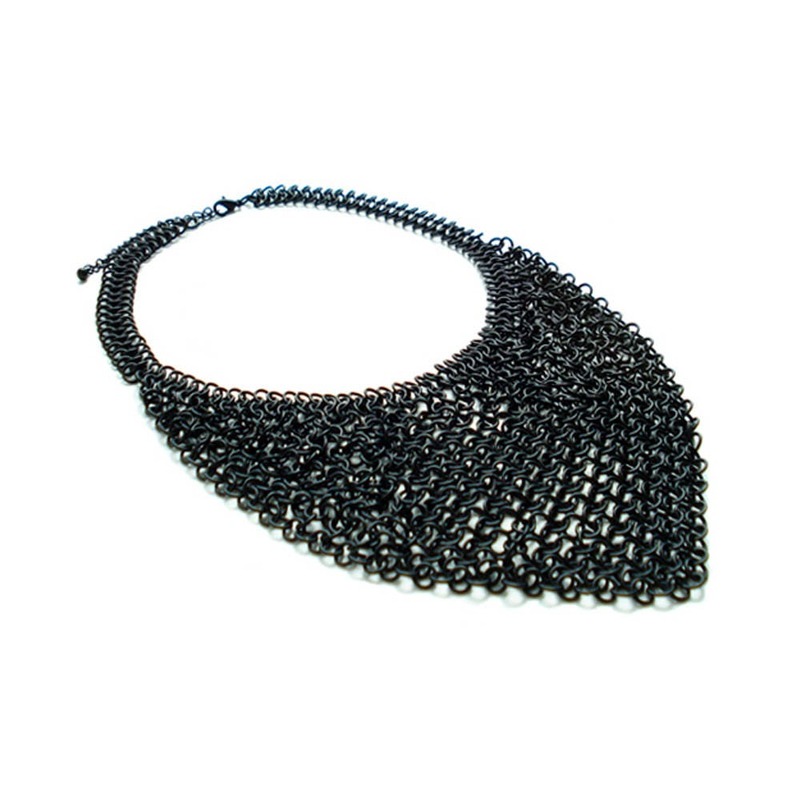 This beautiful necklace is Handmade European 4 in 1 weave in Enameled Black. 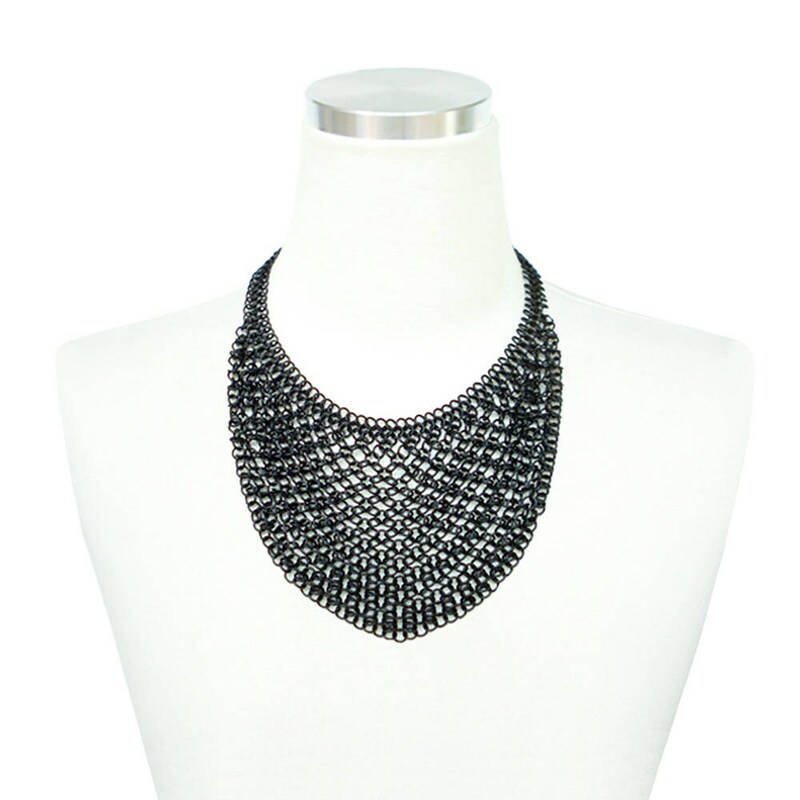 It really looks stupendous in an open neckline dress or top.